We are located on the far side of "West Campus" with a bus stop right next to the hall. 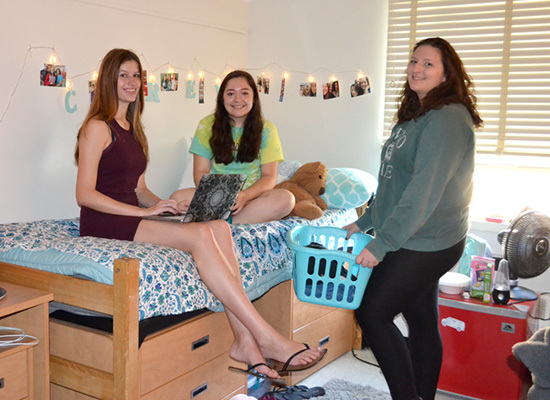 Oneida Hall has tunnel access to Littlepage Dining Center and the Glimmerglass Fitness Center. 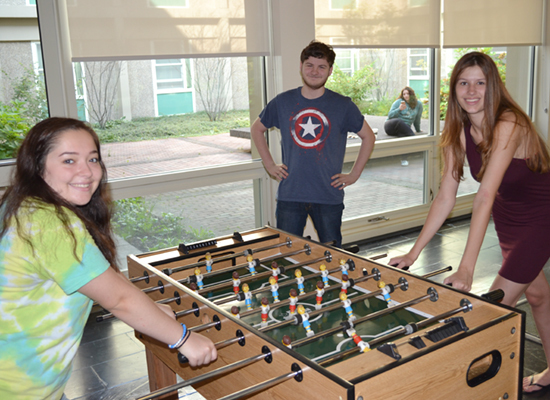 There is opportunity to participate in many themed programs and community builders within the hall. 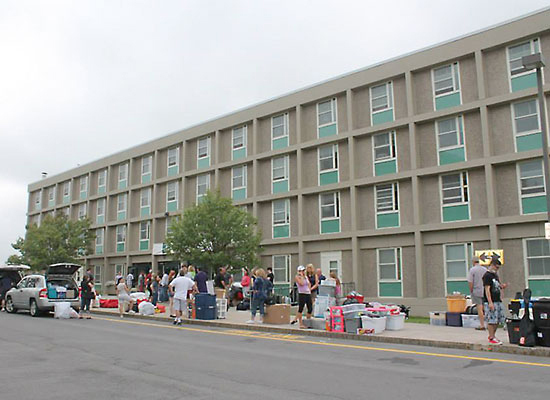 The residents of Oneida Hall share a good sense of hall pride and great spirit. 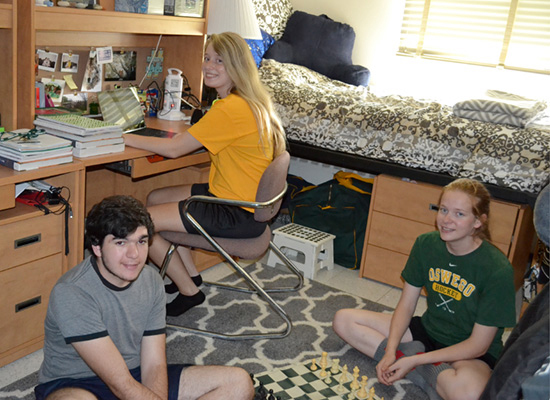 Oneida Hall residents often participate in many aspects of campus life such as athletics and numerous other extracurricular activities. Become a part of Oneida and you will enjoy the warm and exciting atmosphere in the hall. 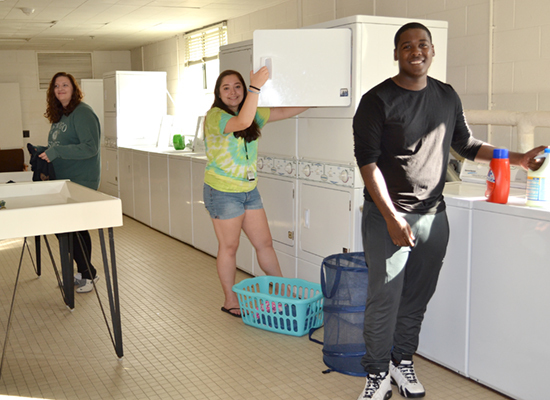 Oneida is staffed by 17 excellent Resident Assistants who are supported by a strong Residence Hall Council. Hall Council is student run and provides exemplary leadership and support to the residents. High-spirited Desk Attendants ready to welcome you. Oneida hall features a spacious main lounge plus 3 additional lounges (including a small lounge with a piano) and kitchenette. 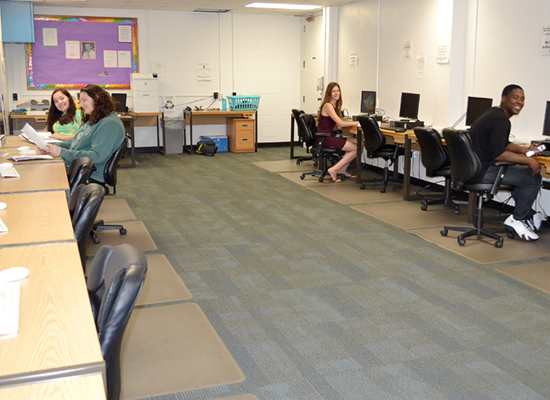 Our computer lab, laundry facility and recycling room are located in the basement. 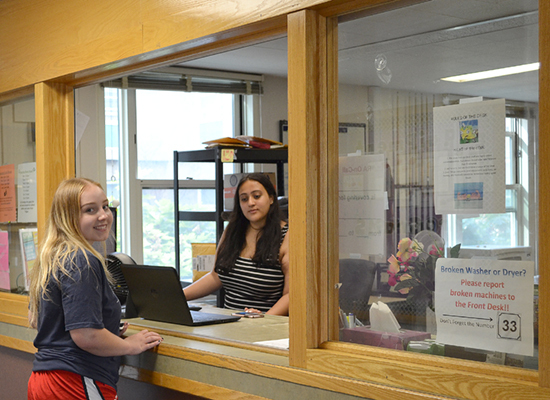 Front desk services include the rental of many items such as: kitchen equipment, cleaning tools, sports equipment, many games, and movies too!